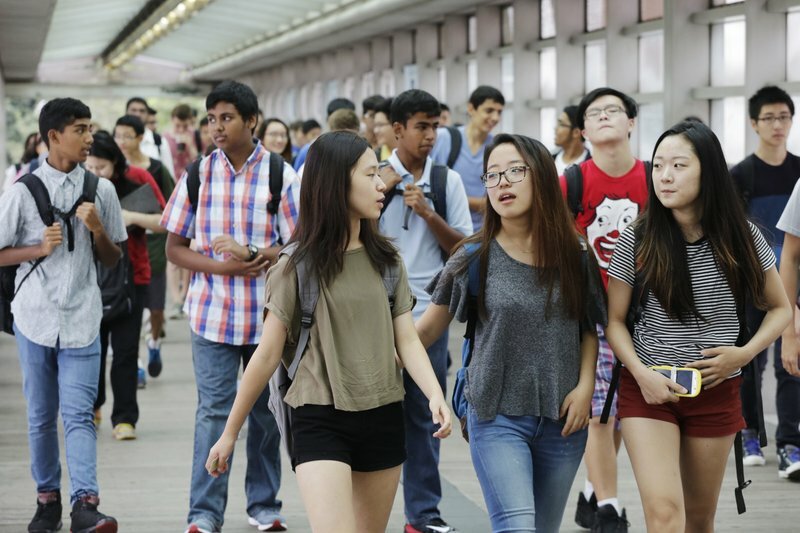 NEW YORK (AP) — A plan to diversify New York City’s most elite public high schools is drawing fire from the minority group that has come to dominate the schools in recent years: Asian-Americans. Fewer than 10 percent of students who score well enough to gain admission to the schools are black or Latino, despite the fact that those two groups make up two-thirds of the city’s 1 million public school students. “It’s not fair. It’s not inclusive. It’s not open to all,” de Blasio said. “This policy causes chaos in the Asian-American community and we’re here to reject this policy,” John Chan, head of the Coalition of Asian-Americans for Civil Rights, said. Tough entrance standards, a rigorous curriculum and a reputation for graduating some of the world’s top scholars have made the city’s exam schools highly sought after among high performing students. City Councilwoman Margaret Chin, a Bronx Science alumna and a Democrat whose district includes Manhattan’s Chinatown, wrote in a letter to de Blasio that Asian-Americans have “a unique relationship” with the specialized high schools. “For many families, particularly low-income immigrant families, the specialized high schools are the only pathway to a world-class education,” Chin asserted. Overhauling the specialized high school admissions process entirely would require action by the state legislature, which won’t vote on the plan until 2019 at the earliest. Under the expanded version of what’s known as the Discovery program, 20 percent of specialized high school seats will be reserved for low-income students from high-poverty schools who just missed the cutoff. Defining the plan’s beneficiaries by income skirts the legal issues that would be raised if the city tried to favor any particular ethnic group. “I don’t think they would do too well since it’s very hard and you need a lot of support from your family,” she said. “You study for it. You make the cutoff. You get in,” she said. De Blasio’s proposed overhaul would eliminate the test entirely and offer specialized high school slots to the top students at every middle school in the city. “We have so many talented kids who are black and Latino who will never, under the current system, see the inside of a specialized high school, but actually bring a ton of talent that if it was measured properly,” de Blasio said. The use of a single test for admissions has also been assailed by critics like Shael Polakow-Suransky, who oversaw the city’s contract with the test maker as deputy schools chancellor under former mayor Michael Bloomberg.